Whether wearing a tracksuit in style or reviving the “Athleisure” movement – which was a fashion statement of the early 2000’s. The tracksuit has come a long way and is here to stay. It used to be unacceptable to be seen anywhere in public wearing tracksuit joggers, unless you were smart and strategically carried a gym bag, or were actually jogging; the testicle freeing, grey cotton trousers were a fast track to social outcast. Then something changed. Suddenly you started seeing people you respect wearing tracksuits in public, celebrities now wear them, then your friends started wearing them. No longer reserved for the gym or lazy Sunday afternoons, a full tracksuit is the latest way to look fashionable and sporty. With the new classy designs available, you can virtually wear a track suit to more places than your local shop or the couch. Here are reasons you should consider wearing a track suit this season. 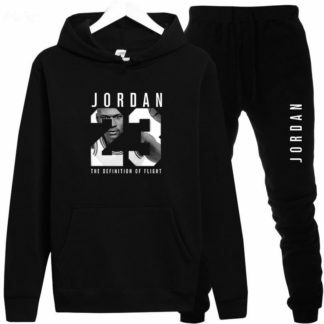 Though tracksuits come in different sizes, they are all made from material that allows free flow of air around the skin; this is the number one reason a track feel comfortable all day long. If it wasn’t for the amazing warmth they provide, you’d forget you were wearing anything at all; you might even be tempted to wear them to work. Made for sports, the men’s tracksuit offers full flexibility even if you do not intend to perform any sporting activity. Compared to other pants like the denim trousers, there’s a freedom of movement and ease you feel when sporting a tracksuit. Never has an item of clothing been so diverse. Whether you’re pumping iron at the gym, or pumping pizza in to your mouth on the sofa, jogging bottoms are always the most practical and comfortable choice. 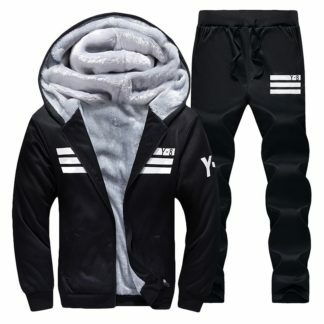 You’ve definitely seen the latest trend – or resurgence of it; We all know trends come and go, and in the world of street style, the cycle of popularity changes at lightning speed; Wearing a full tracksuit is a declaration that you and in the loop and you know what’s up, it is not for everyone. Track pants offer a mix-and-match vibe that makes getting dressed as a guy an event to get excited about. It is no news that tracksuits last longer than normal pants or even denim. 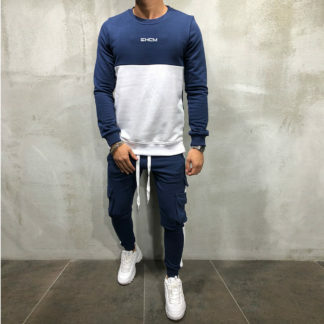 Even if you do end up getting a cheap tracksuit, you will enjoy a much longer wear duration than the standard denim, that’s before age starts to set in on the material. Tracksuit materials are made to withstand wear and tear – remember, they were made with athletes in mind; So you also get to enjoy this benefit. Raise your hand, if you love rearranging your crotch area after sitting for a while? For years men’s sperm count has slowly depleted under the testicular prison that is skinny jeans. Track pants offer full comfort and versatility that you only get when wear pyjamas – with a little bit of flair and style. Unlike cotton denims that need several wash to get soft and easy on the skin, track pants are comfortably yours from the first day. It is worth looking at our sizing guide; and ensure to browse through our catalog to compare different tracksuits and the materials they are made of – in case certain fabrics irritate your skin. 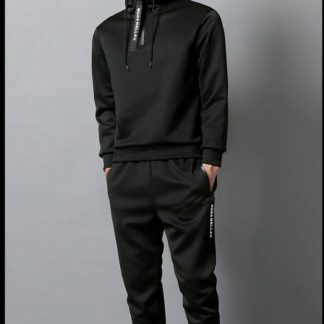 Though some very stylish men’s tracksuit looks sophisticated and fragile; they are actually easy to maintain like every other clothing item you own. Even the colourful designs will withstand numerous laundry clean without bleaching, so you have nothing to worry about, browse our collection today and pick something to switch up your style. You know you are itching to ditch the mildly-to-wildly uncomfortable jeans. With our stylish tracksuits, now you can.